Raw Edge Racer Back Scoop Neck Tank. 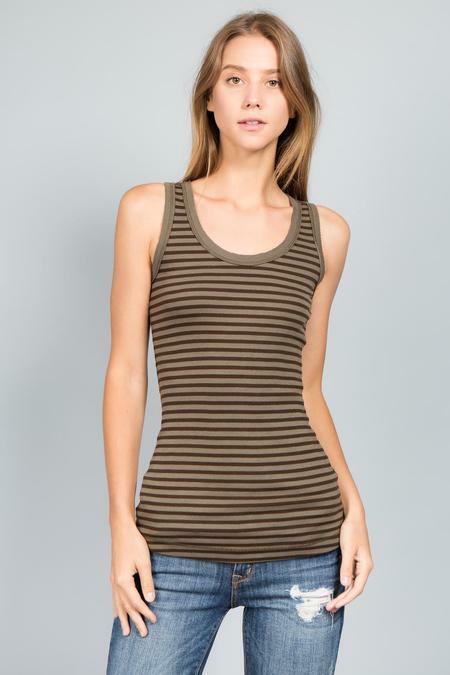 The same cut as our best selling tank #2002 but with a racer back style. All seems are sewn with a a reverse thread to add unique detail while adding stitch strength. The cut edges on the wide binding creates a raw unique look and turns a standard tank into something special. Our luxe rib fabric is specialty knitted with our DNA spandex for a natural stretch with great recovery so will not stretch out during the day. This Luxe Rib fabric has more substance than other pedestian fabrics and is simply chic worn on its own or for layering. model is 5"9 wearing size small at standard length of 26".